And since it's almost a new month, it's time to start talking about September's bookstagram challenge. This month was a bit crazy, so our challenge is a little different. We are taking a break from some of the more involved prompts, but we will bring back some folding prompts next time, I promise. Feel free to do as many of these prompts as you want, jump in, jump out... just make sure to use the hashtag so we can see your lovely photos! 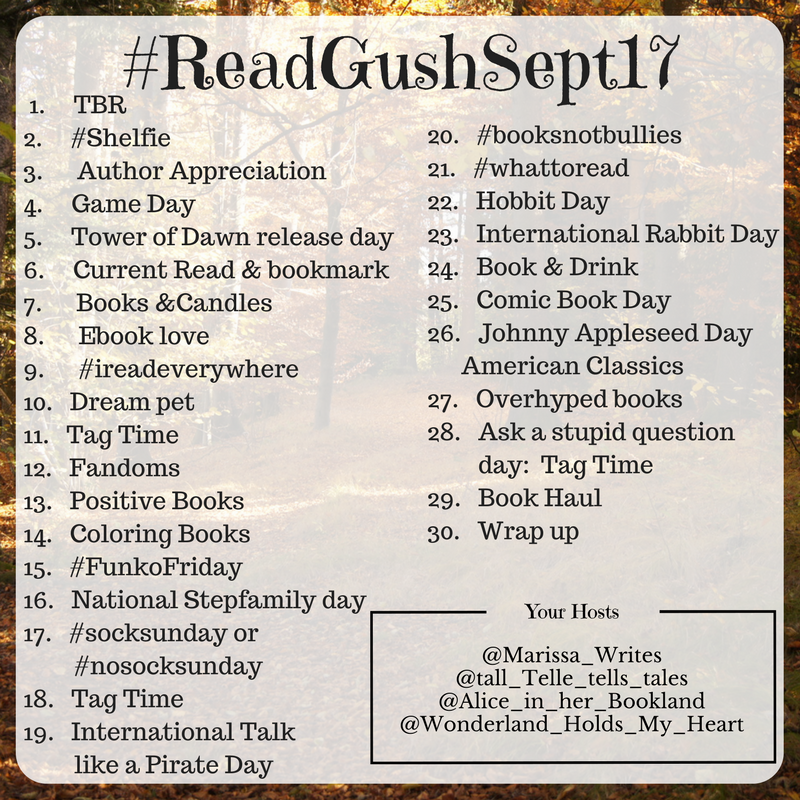 We changed up some of our game days to tag days, so on those days feel free to join in the fun and tag some of your friends to join us. TBR – top two books you want to read this month. 2. #Shelfie – show of your books in their home on your bookshelf. 3. Author Appreciation – pick an author you love and tell us all why. 12. Fandoms – here’s your chance to gush like crazy. 14. Coloring Books – show off some of those fancy coloring books – we know you have them! 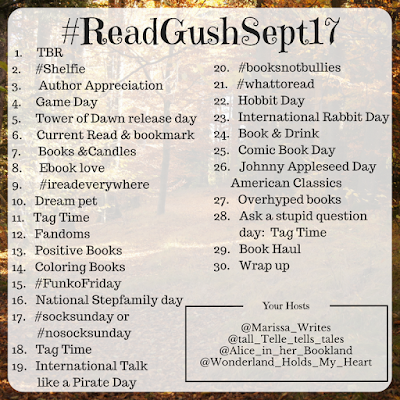 19. International Talk like a Pirate Day – show of those pirate books and stories. 24. 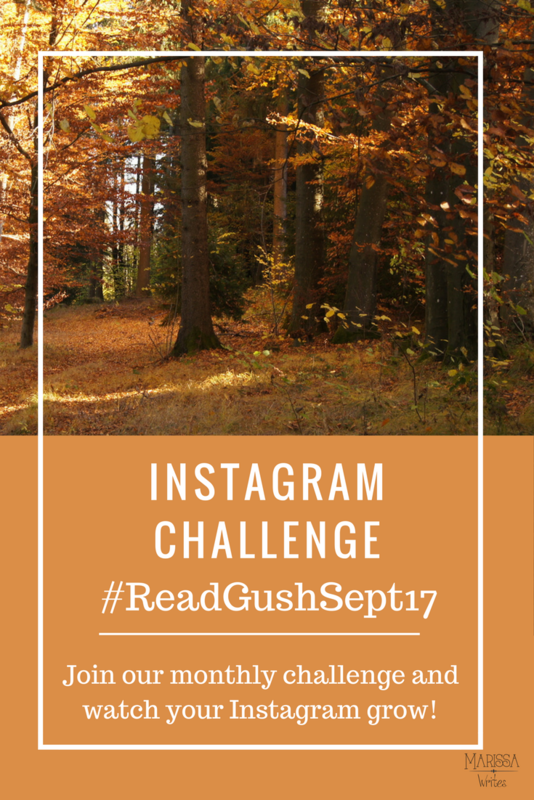 Book & Drink – what is your go to fall-ish drink? 27. Overhyped books – what books just did not live up to the hype? a. Read on the sofa, or in bed? b. Male or Female protagonist? c. Sweet or Salty reading snack? d. Trilogies or longer series? e. First-person or third-person POV? f. Read at night or in the morning? 29. Book Haul – show off all your new books and bookish merch so we can gush over it! 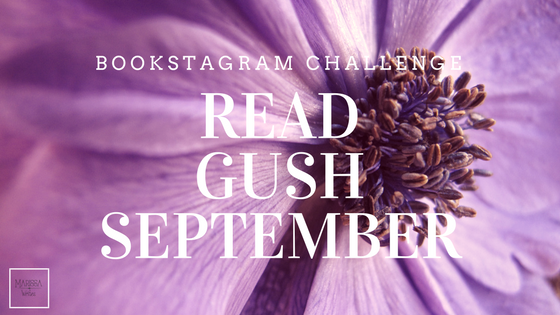 What do we need to gush over in October?? Share your ideas in the comments!